This second essay in a series introduces another key concept that explains why all of us in the USA are failing to address the climate crisis, ignoring ecological and population overshoot, shutting our eyes to the coming collapses attendant to massively excessive resource extractions, and related issues. The reader is invited to answer to what extent delusions are operating in their own lives, and the lives of their families. Subsequent essays will examine the “Boomerang Effect” and related aspects of psychological reactance—additional individual responses to information that contradicts convenient world-views. The premise of these essays is that the path we are now on – represented by our social, political, economic, and moral systems, both here in the USA and worldwide – will mean complete catastrophe. Our current pathways mean the end of civilization, the loss of most of the Tree-of-Life, and the elimination of most of the human population, if not the extinction of the human race. The exhaustive information that documents this series of looming catastrophes will not be presented at the outset, in the hope of making the information considered readable, and avoid the most extreme examples of the Boomerang Effect and psychological reactance for the reader. It is expected that the necessary precondition to responding effectively to the coming catastrophes is understanding and accepting their inevitability. How Does One Say What Cannot be Said? Facts that offend people’s worldview end up in the scrap heap of rejection, particularly if they conflict with the self-perceived morality, needs, or desires of those individuals who temporarily perceive them. Temporary perception is the important operating principle, because between the perception of very uncomfortable facts and then incorporating them into a worldview – in the case of the USA particularly – results in dramatic alteration or exploding that worldview. The perception rarely moves to incorporation, and the person maintains their unaltered and inaccurate worldview. 7.5 years hence. Numerous articles explaining his miracles requirement, if we are to meet the climate crisis on his terms can be found by simple Google search – including our blog post, “Bill Gates Is Betting Our Future on Miracles.” At the time of that talk, Gates multiplied his own delusions by stating the wrong criteria for “what needs to be accomplished” in order to meet the climate crisis. This mistaken criteria, which is widely accepted now by climate leaders like Michael Bloomberg and Jerry Brown will be explained and detailed in further essays in this series. So, the first essay in the series explored the delusion related to the Tinkerbell-Effect. This one expands the topic and introduces another one, among the wider repertoire of delusions we are transfixed by in our current economic, energy, social, political, and moral systems that are leading to consummate catastrophe. Please do not be surprised if you are unable to explore, much less absorb these systemic delusions. Similar experiences have taken place for most individuals in similar situations. History shows us that when society has been faced with collapse or catastrophe, reaching for delusions, desiring impossible deliverance, or just plain belief in fantasies was common. Thus, Boomeranging back to hold on to the prevailing world view. Therefore, this second essay in the Hydra-Headed Meta-Delusions series will now proceed to illustrate the situation. 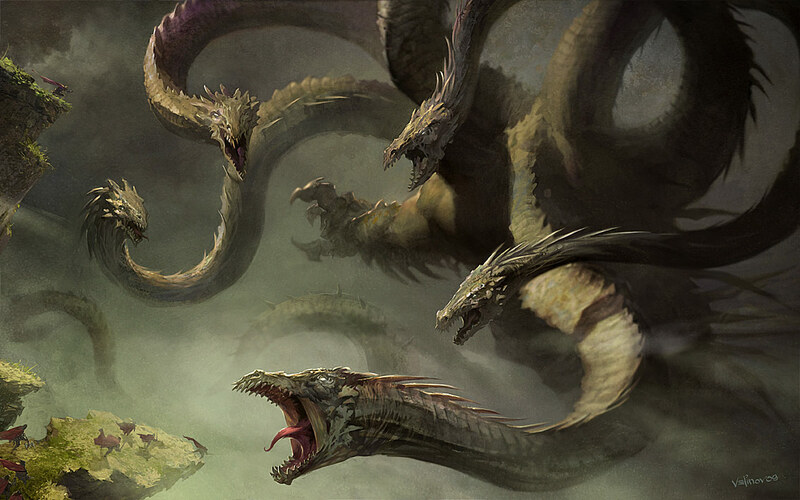 Our hydra, like the mythological one will grow two more heads for each one that we cut-off or eliminate. So, the delusion system that occupies our current collective world-view is interconnected, like our hydra-heads. Moreover, if we combat one delusion, two more pop-up to replace it. Therefore, this essay series will detail many more collective delusions than heads of our hydra. Next to the hydra-head that represents the Tinkerbell-delusion, is another head in the meta-delusion, and it can be illustrated by top climate scientist Kevin Anderson’s latest lecture / video. On September 22nd, Kevin explored the delusions related to the economics-technological alliance, a nefarious alliance indeed. Mix in strands of lethal injustice and belief that we can somehow continue on the current pathways with minor tweaks and avoid comprehensive catastrophe, a delusion as Kevin explains, and you have the substance of the second head of our hydra. Kevin’s linked video is Kevin’s best explanation of the most pressing and most scientifically established parts of our delusion system. Given the power of the information, and how likely it is to be confrontational to most viewers, even those who believe they are on the side of the “good people,” and those engaged with social justice, take-in bite-sized parts of the video. Begin on minute 20 of the video. The “meat of the matter” is in the next 45 minutes. A word for the reader: If you find you are unable to review all of the information that Kevin presents, or if you find yourself recoiling against these facts and scientific data, please consider some historical examples. When the Roman Empire was falling and in its disintegration phases, when most of the citizens of Rome were facing invasion, losing everything including their lives, they leapt to comforting fantasies and delusional belief systems, and were unable to face the horror of their situation. When Europe faced the catastrophes of the Black Death in the Middle Ages, people frequently had to attribute the cause of the devastation to “God’s Will,” or “God’s punishment for the peoples’ ‘sins.’” So, inability to look the hydra-heads in their eyes, and the resulting emotional distress in doing so, may block your own ability to absorb the information related to these interconnected crises and looming catastrophes. However, if we are to survive with any world worth occupying in the near future, it is essential that (very quickly) the information needs must be accepted and absorbed. Then and only then can we collectively deal with the crises behind our delusions and push ourselves off the completely catastrophic pathways we now travel, and thereby construct a future for our children worth living.